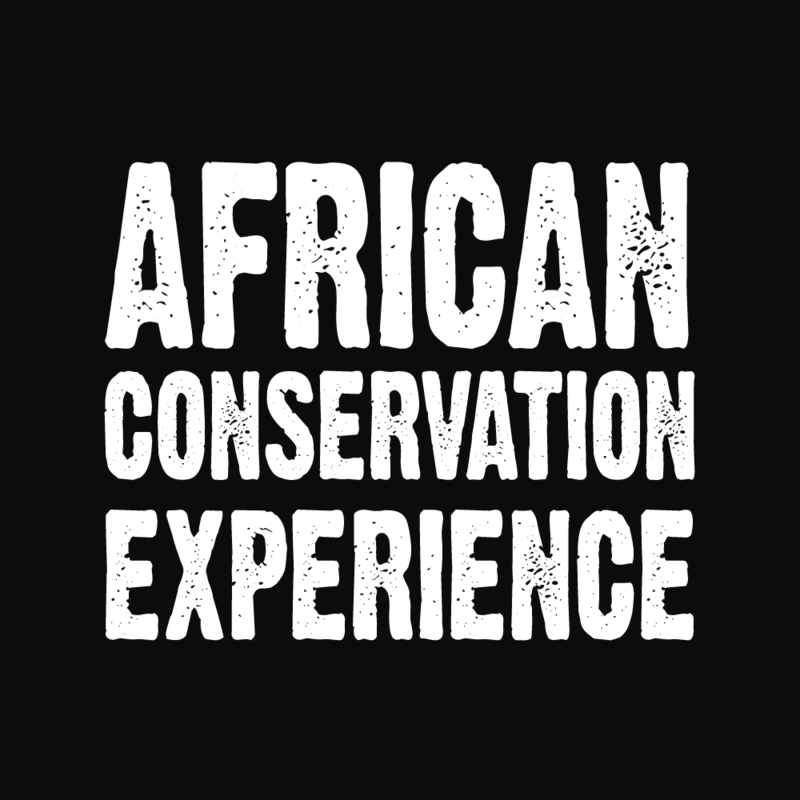 What do African Conservation Experience Do? 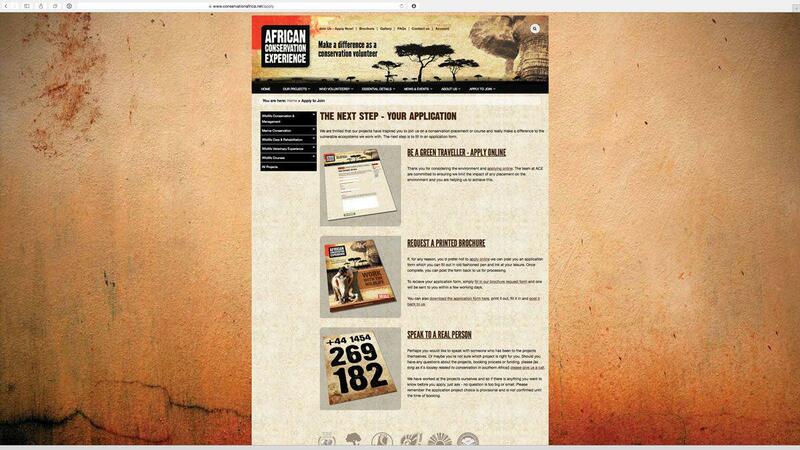 ACE organise trips primarily to South Africa for a wide range of individuals and groups. Their clients are essentially volunteers that work and learn at projects and courses that benefit the wildlife, ecosystems and communities in which the projects operate. These students of conservation provide much needed support to the projects in South Africa whilst enriching the lives and minds of the volunteers. 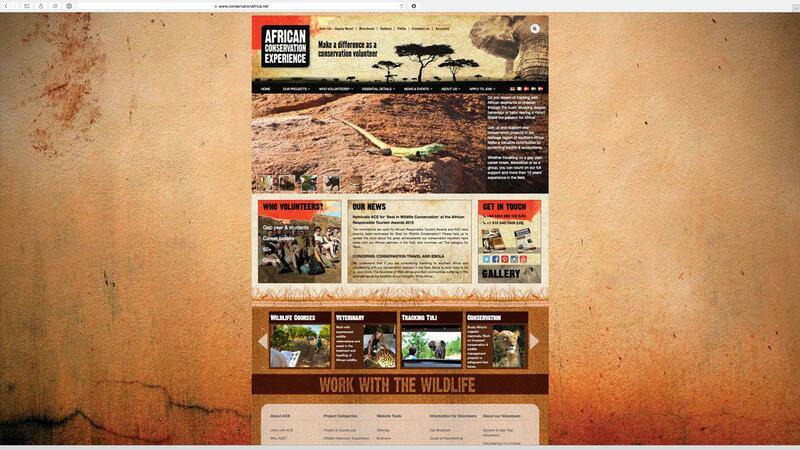 It's been about 10 years since we first worked with African Conservation Experience when we first re-designed their website. Not long after, we were asked to create software to replace simple spreadsheets that kept track of their customers as they travelled around the globe. Since then the scope of their software needs, the size of their audience and their overall success has grown and grown. Most recently (About 3 years ago) we re-designed their back office software from scratch to be able to support their business for the years ahead by creating a large and flexible application that serves the needs of marketing and management, finanicals and day to day operations in the US, UK and South Africa. We can't tell you, or show you too much publicly so get in touch and ask us about the kinds of back office software we could build for you. There's a hell of a lot to summarise. We've been working with ACE for over a decade and have written a huge amount of backend software for their globally distributed team over the years. Primarily, the work we've done for them includes their public facing website and intranet that manages their applicants and the process of sending them to South Africa on volunteering placements.